Steve Kaufman is the chair of the Christian Vegetarian Association and the co-chair of the Medical Research Modernization Committee. He coauthored (with Nathan Braun) Good News for All Creation and is the author of Guided by the Faith of Christ: Seeking to Stop Violence and Scapegoating. Professionally, Kaufman is an Association Professor in the Dept. of Ophthalmology of Case School of Medicine. He is a retinal specialist and a partner of Vitreo-Retinal Consultants (Canton, OH). 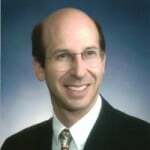 Kaufman authored several articles in the medical literature and has published articles and letters on animal experimentation and animal protectionism in the medical and non-medical literature, including an article with Neal Barnard entitled Animal Experimentation is Wasteful and Misleading in the Feb. 1997 issue of Scientific American, and also Does Vivisection Pass the Utilitarian Test? in Public Affairs Quarterly. Caryn Hartglass: Hello everybody, I’m Caryn Hartglass. You’re listening to It’s All About Food and it’s June 17, 2014. I want to bring on my first guest, Steve Kaufman. He has co-authored Good News for All Creation and is the author of Guided by the Faith of Christ: Seeking to Stop Violence and Scapegoating. He’s the chair of the Christian Vegetarian Association and the co-chair of the Medical Research Modernization Committee. He’s also an Assistant Professor in the Department of Ophthalmology at Case School of Medicine. He is a retinal specialist and a partner of Vitreo-Retinal Consultants. Welcome to It’s All About Food, Steve. It’s good to have you on the show. Caryn Hartglass: It’s been awhile since we’ve chatted. Caryn Hartglass: So, you’re doing well? Steve Kaufman: I am, thanks, and I saw your recent video. It looks like you’re well, as well. Caryn Hartglass: Thank you. Well, you know it’s amazing where the universe can lead you sometimes. As I mentioned in the film, (and what he’s talking about I’ve been talking about a bunch on this program) where I was invited by a feedlot owner to participate on a panel about climate change and animal agriculture’s contribution to climate change to about 250 cattle producers. I went. It was an incredible opportunity. I was really overwhelmed with how nice everybody was [laughter]. Steve Kaufman: You know, that’s the thing. It’s been my experience that farmers, cattle ranchers and all the like, are really pleasant people. They’re outgoing, gregarious and fun. That doesn’t necessarily mean that they are nice to animals. Steve Kaufman: But at a superficial level; at that level they can be a very friendly crowd and a pleasure to be with. That doesn’t necessary mean that they’re nice to everybody [laughter]. Caryn Hartglass: But it’s important to know that, because I think a lot of people shy away from talking with people that they don’t agree with because they’re afraid. Steve Kaufman: A lot of people will accept respectful engagement. It’s not always easy to respectfully engage when you have strong passions about what’s going on but we should respectfully engage everybody just because. For two reasons: one, is that’s just the right thing to do and the other is, you’re not going to get anywhere with anyone if you’re not respectful towards them. Caryn Hartglass: Now I want to focus a little bit on the Christians’ perspective, because you’re a specialist in that field. I’m always looking for different angles and different communities to extend this message about compassion and kindness to animals and I think the Christian community is an ideal place for the vegetarian/vegan message because of all of the things that are taught about kindness and giving. Where’s the disconnect? Steve Kaufman: It’s also important because so many people identify themselves as Christian and use the Bible and/or Christian tradition as the foundation for their moral decisions. So, although the secular case for animal rights is strong and the case for animal protectionism in just about every religion is strong, to many Christians the only arguments or considerations are going to come from that faith tradition. But why is there a disconnect? That’s a tough question to answer, but I can give you some thoughts on it. Steve Kaufman: For one thing, people like to eat animals and people like to defend whatever they do. And so, this is what people do – from all walks of life – and so to some degree, people fashion the religion to suit their needs. That happens in just about all religions. The curious thing is that there is this element in the Judeo-Christian tradition, which is so strongly pro-animal and I think that that indicates that at least at some level of consciousness, people want to be at peace with animals. They don’t really want to hurt animals. They want to have animals as their friends, but at the same time they also want to eat them. So there’s a conflict there, which is one of the reasons why it’s hard to talk about this because I think a lot of people recognize that their value is not to harm animals and yet their practice (a practice they don’t wish to change), involves harming animals. Another thing that makes it difficult for Christianity to take a leadership role is that so much of Christianity is institutionalized. Institutions tend to be self-propagating and self-defending. And so, if the people out there are saying, “You know, we really do like to eat animals.”, then the church leaders are going to say, “Okay, it’s okay to eat animals.” They’re going to be very hesitant to take a leadership role for fear of losing members of their congregation. And so, the interesting thing is that the earliest Christian churches were really home churches at best; people would just get together at various people’s houses and discuss the Jesus stories and what that meant for them. Those were the first churches and they didn’t have buildings to support, they didn’t have pastors’ salaries to worry about. So, you didn’t have those sorts of issues that bring in other considerations and make it hard for churches to address the really tough questions, social questions, one of them, of course, being animal issues. But there are others, as well, the churches are hesitant to confront because it’s just too touchy. Caryn Hartglass: I’m wondering about institutions versus gathering at home and having compelling conversations and discussions; if one is better than the other. Steve Kaufman: At least in terms of moving things forward and exploring new ideas, if you don’t have institutions to defend and support, if you don’t have to worry about that, then you can take more chances, because the worst that happens is that someone gets a little bit angry or offended and you try to smooth things over. But in a church, if a pastor gets up there and says, “Look at what we are doing to these poor animals. Look at what we’re doing to the earth. We’ve got to change the way we eat.”, a lot of people are going to head for the door – not come back. That’s just the reality of it. They’re going to go to a church that says, “You know, there’s no such thing as global warming.”; or at least, “Don’t worry about it. Your contribution is so negligible that, you know, you just do what you want to do and we’ll continue to serve meat at our events and you’ll feel comfortable here. Caryn Hartglass: Shall I dare say that many of us are hypocrites? Caryn Hartglass: Now, I know that a lot of people like to quote the Bible as evidence of something that should be done or not done. Is there some compelling evidence in the scriptures that tell us about what we should eat and not eat? Caryn Hartglass: Yeah, there’s a lot of leeway. Steve Kaufman: It’s the heads you win, tails you lose kind of thing. But there are some passages that are certainly animal-friendly. Two that come to mind, and I think are perhaps most central for those of us in the Christian Vegetarian Association, are in Genesis 1 in which all creatures as well as all humanity are instructed to eat plant food. And it’s a world of peaceful coexistence, which is described by the Bible as the ideal. It’s not a world in which we live in now, because there are a lot of animals that would not survive if they didn’t eat other animals. But at least it points to what the ideal is and I think that many Christians would agree that we should try to live according to the ideal, even if it’s impossible to achieve the ideal the way the world is constructed currently. Which is ironic because in Genesis 1:26 (a favorite passage of those who want to defend eating animals and say “God made animals for us to eat them.”), it describes how humanity was given dominion over the animals, but this was a world in which no animal or human harmed each other. So, whatever was intended by the writer of that passage to communicate, it wasn’t exploitation, abuse, or tormenting non-humans. It was probably similar to what (because it was the same word) of what is described as the proper role of a king who has dominion over his subjects. He’s not supposed to exploit and abuse them. He’s supposed to be a good ruler who rules with wisdom and compassion and is really a servant to the people and an emissary for God, not someone who’s supposed to take advantage of his position of power. Caryn Hartglass: And the king doesn’t eat his servants either. Steve Kaufman: True enough. And then in Isaiah, there’s a description of a so called “peaceable kingdom”, a realm of God in which the wolf will lie with the lamb and a little child will lead them. That passage is quite well known. Again, it’s an image at the end of time in which all creatures including humanity live in harmony and peaceful co-existence. So that’s where you get a biblical ideal. There are a lot of other passages where animals are eaten or used, but that’s a world in which the ancient Hebrews…it was the world in which they lived. They needed to use animals in various ways to survive. But interestingly, the Bible also puts restrictions on how animals are to be killed for example, if the knife…it has to be a cutting of the throat with a single cut and the blade cannot have a nick in it. So, at that time, that was the most humane way possible to kill an animal. I think we can do better today. But back then, that was the best that they could do in terms of killing the animal. And it was forbidden, for example, to cut off a limb of an animal and then pack the wound and eat the animal piece by piece, which unfortunately was common practice back then. But the ancient Hebrews said “No you can’t do that,” because even though there’s no refrigeration and even though that’s a more efficient way to eat an animal under the circumstances… it was just so cruel that they could not countenance it. Steve Kaufman: So it gives you an idea that the ancient Hebrews…although animal exploitation was permitted, they were doing their best to minimize abuse. The Bible does not endorse at any point cruelty to animals or gratuitously harming animals and, as Norm Phelps has pointed out, the Biblical case for slavery is much much stronger (human slavery) than the Biblical case for animal abuse. Caryn Hartglass: Are there different Christian communities that are more open to this vegan/vegetarian message than others? Steve Kaufman: Yeah, I would say so. Now the Seventh Day Adventists, a lot of them are vegan. It’s for health reasons and they have variable interests in animal welfare and animal rights per se, but they do think we should eat according to the Genesis diet which is a plant-based diet, and feel that anything other than that is an unhealthy diet. They’ve got a point there. And then outside of that, there may be very small sects or groups that adopt such a diet. There’s a group called the Hebrew Israelites. It’s a very small group, which is vegan. But again, I think it’s more for health reasons and following Genesis 1 more than anything else – not necessarily animal protectionism. Then of course within Christianity, there’re a lot of individuals. I mean, we have over 7000 members in our Christian Vegetarian Association. But we come from all walks of life, from very liberal to very conservative. I’d say that the liberal Christians are more inclined to a vegan or vegetarian diet but we certainly have a lot of very conservative Christians who are members of our group and for very much the same reasons theologically. It’s part of their Christian witness that they feel that we’re supposed to care for God’s creatures and they can’t participate in activities that are the exact opposite of that. Caryn Hartglass: And what is the Christian Vegetarian Association up to these days? Steve Kaufman: We still distribute over 100,000 booklets at Christian events, concerts, revivals and the like. And we’re coming out with a new booklet. It’s going to be a bit more up to date with the way people read. [laughter] We’re going to make it a little bit more reader-friendly. I think that is something that will make our message be well received. We just still continue to be a resource for people who have questions. We have a Yahoo group called “Christian Veg Yahoo Group” where we provide information and support for each other. It’s a moderated list, by the way, and so all the messages are respectful (I delete the ones that are not). So we’re doing what we’ve been doing and hopefully the message will get out there more and more over time. I think we’re making progress on several fronts, in part because I think people are realizing that unless we change the way we are living, we’re not going to have human civilization as we know it for much longer. And I think if anybody is of an interest in having children, they probably have a strong desire to see human civilization flourish. So, unless they’ve got their head in the sand, I would think that the wise choice is either do your best to help create a sustainable world or at the very least don’t have kids, because what are we giving them? If we really want them to inherit a world that sees inadequate resources to keep itself going, that’s not a world that I would want. I don’t want to be there when that happens. Caryn Hartglass: And you don’t want the people you love to be there when that happens. Steve Kaufman: That’s my point. That’s my point. Caryn Hartglass: Okay. You saw the film… I mentioned a couple of things in the film; one was the dominion concept, which you spoke briefly about. And the other…I don’t know if it’s in the film. I think it is briefly. I told my audience early on in my presentation that I don’t believe in killing anything and then I said “Thou Shalt Not Kill.” What do you think that means, “Thou Shalt Not Kill?” – one of those commandments. Steve Kaufman: Well, you know these things are open to a variety of interpretations and I don’t claim to have the final answer. For me, it means don’t kill anything at least unnecessarily. I would say Thou Shalt Not Murder is probably a better way to translate it. But I would say you can certainly murder a non-human. So what was intended by the writer of that passage I don’t think anybody knows. But for me at least, it makes the most sense to see it as killing any individual unnecessarily. And obviously the vast majority of the time when humans are killing non-humans, it’s unnecessarily. Caryn Hartglass: Right. Okay. I just wanted to know a little bit more about your practice as a retinal specialist. Steve Kaufman: Well, we treat retinal disease like macular degeneration, diabetic retinopathy, and retinal detachments, the sorts of things that retinal specialists do. Caryn Hartglass: Now, when we talk about plant-based diets and good nutrition…with some of those like macular degeneration, there is a connection, is there not? Steve Kaufman: Absolutely, and based on theoretical grounds, a plant-based diet is going to be very good for you. I don’t think there is any strong evidence one way or another about whether animal-based products are harmful to the eye that way. Except insofar as if you get a heart attack and die you also go blind (Just because that’s what happens when you die.) [Laughter] I’m not sure whether it has a direct affect on the eye. But certainly the plant-based foods are going to be good for you. The typical American diet I think is not optimal at all for eye health insofar as it’s so much animal-based and lacks a lot of… The green leafy vegetables are good for you as well as carrots as you know. You won’t hurt yourself if you overdose on carrots, but you will start to turn a little orange. Caryn Hartglass: Right. Do you ever get to talk to your patients about nutrition? Steve Kaufman: Oh sure, but I’m not in a great position to say you should be vegan. I can’t really back that up with a lot of scientific evidence. But I certainly talk about the importance of moving towards a plant-based diet and broader consumption of those and that sort of thing. Caryn Hartglass: Right. I know that so many medical professionals are afraid to talk about diet with their patients and patients need to hear it over and over and over and over from people that they respect. Steve Kaufman: Well, that’s true. And particularly for a lot of other medical conditions, the case is much stronger. It’s crazy. We know from Dr. Esselstyn and Dr. Ornish and work such as theirs, that the plant-based diets are the ones that are going to save their life – and they’re not telling the patients that. Now, the patient may say that they don’t want that and that’s the patient’s choice. But the patient’s not even hearing…you know there is a way that you can live. Some people find it difficult and some people don’t. But you can survive. But they won’t even talk about it. I think in part because it really does take a lot of work. Doctors don’t have a lot of time now for patients. It’s an unfortunate aspect. There are a lot of reasons behind that and it’s not just the notion that doctors are just trying to make more money. There have been changes in the way healthcare is being reimbursed and run, ways that make it difficult for doctors to find the time that it takes to really give people the advice and support that they need. It’s an unfortunate situation. Caryn Hartglass: Do you have any thoughts on the current Pope? Steve Kaufman: It sounds like he is somewhat friendly towards animals, which is a nice thing. But again, when the followers lead, the leaders will follow. Caryn Hartglass: They have to lead better. Steve Kaufman: But my point is that the followers have to be the ones to say “We want different kinds of leadership.” because, as long as the followers are saying that “This is what we want to hear.” then that’s what they’re going hear. On the one hand, it can be frustrating but, on the other hand it can be liberating because leaders normally will want to be conservative because after all, they got where they were through the existing institution. So, there’s a lot of potential for the grassroots who are not so invested in the conservative institution to say “We want fundamental changes in the way our communities or institutions are run.” So there may be…there are ways to look at that that are not so despairing. Caryn Hartglass: The people have the power. Steve Kaufman: They do. Which is probably a good thing because if the leaders were the only ones with the power, they probably wouldn’t change very much. After all, through the existing system is how they got to where they are. Caryn Hartglass: I guess I haven’t really looked at it this way but it sounds like the leaders aren’t really leading. They’re just taking what they’re getting and just going along with it. Steve Kaufman: I mean, after all, the Pope is just a human being, right? Steve Kaufman: The Pope only has immense power because a lot of other human beings have invested the Pope with that power. That’s the only reason. Otherwise, he’s just another person. Caryn Hartglass: Right, just another human being. Okay, well before we go, do you have some wise words for us how we can move forward on this planet of ours? Caryn Hartglass: I like that. I like that a lot, because for so many of us it can be so frustrating to keep on with this message. But people need to hear it over and over again. Steve Kaufman: We shouldn’t try and convert people. We should try and facilitate people converting themselves by asking questions, bringing up facts, not telling people what to think or do, but rather just to say, “This is what I do, this is why I do it,” and then people say “Maybe this is right for me.” Because people need to feel empowered as well. They need to have a sense that this is their choice not imposed on them by anybody else. Caryn Hartglass: Yeah, well when I was talking to those cattlemen and women – those cattle people- I never told them what to do. And I want to think that I did move some cells around inside themselves where they started questioning. I like the way you put it where at some point it will be their idea to change. Caryn Hartglass: Let’s leave it at that. Let’s make it everyone else’s idea to make this world a better place. [Laughter] Okay thanks, Steve for taking the time and talking to me today. All the best to you and the Christian Vegetarian Association and I look forward to that new booklet coming out. Caryn Hartglass: Okay, take care. We’re going to take a little break now and we’ll be back in a few minutes. Stay with us. So grateful for Steve Kaufman and the Christian Vegetarian Association. He is remarkable and is a true voice for God’s creatures.